The cashew (Anacardium occidentale) is a tree in the family Anacardiaceae which produces a seed that is harvested as the cashew nut. 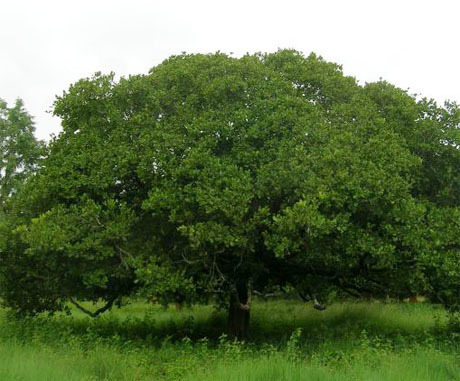 Its English name derives from the Portuguese name for the fruit of the cashew tree, caju (Portuguese pronunciation: [kɐˈʒu]), which itself is derived from the indigenous Tupi name, acajú. 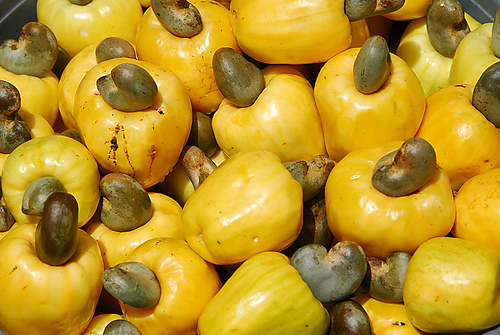 Originally native to northeastern Brazil, it is now widely grown in tropical climates for its cashew apples and nuts. The cashew nut is a popular snack and food source. Nigeria was the world's largest producer of cashew nuts with shell in 2010. The fats and oils in cashew nuts are 54% monounsaturated fat (18:1), 18% polyunsaturated fat (18:2), and 16% saturated fat (9% palmitic acid (16:0) and 7% stearic acid (18:0)). 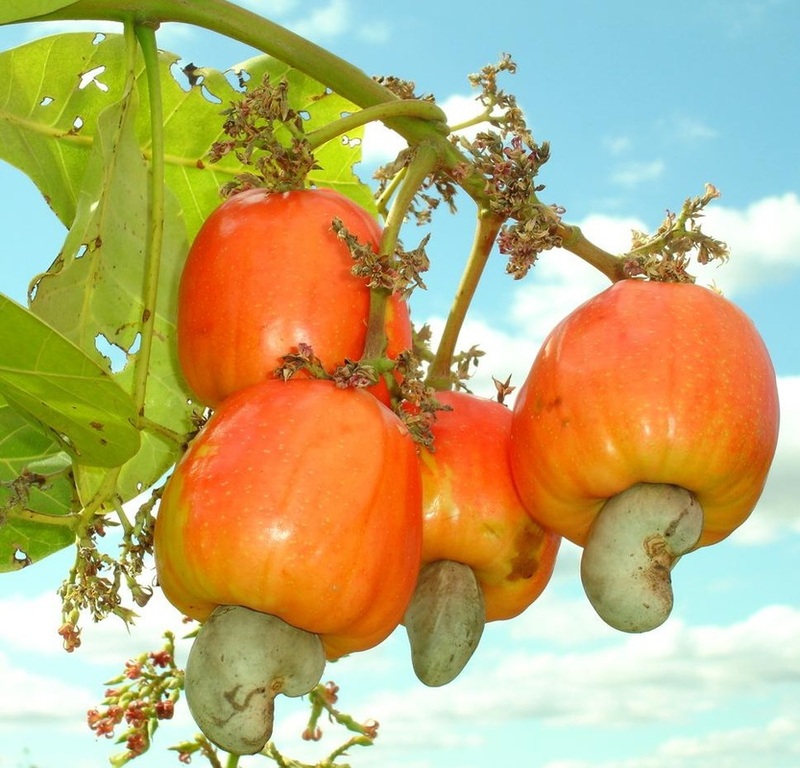 Cashews, as with other tree nuts, are a good source of antioxidants. Alkyl phenols, in particular, are abundant in cashews. Cashews are also a good source of dietary trace minerals copper, iron and zinc. 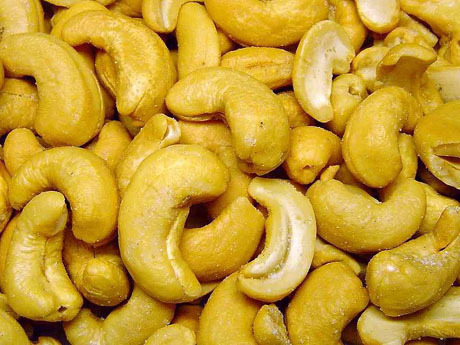 For some people, cashews, like other tree nuts, can lead to complications or allergic reactions. Cashews contain gastric and intestinal soluble oxalates, albeit less than some other tree nuts; people with a tendency to form kidney stones may need moderation and medical guidance. Allergies to tree nuts such as cashews can be of severe nature to some people. These allergic reactions can be life-threatening or even fatal; prompt medical attention is necessary if tree nut allergy reaction is observed. These allergies are triggered by the proteins found in tree nuts, and cooking often does not remove or change these proteins. 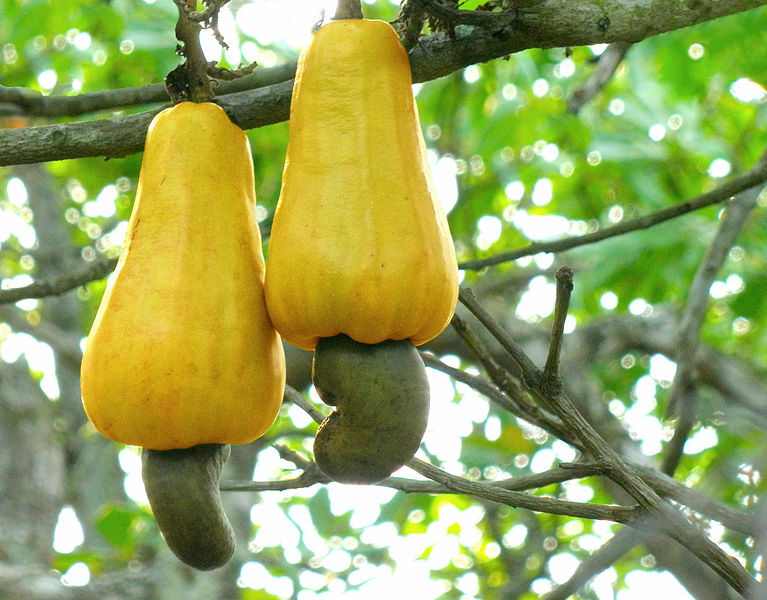 Reactions to cashew and other tree nuts can also occur as a consequence of hidden nut ingredients or traces of nuts that may inadvertently be introduced during food processing, handling or manufacturing. Many nations require food label warning if the food may get inadvertent exposure to tree nuts such as cashews. In some people, cashew nut allergy may be a different form, namely birch pollen allergy. This is usually a minor form. Symptoms are confined largely to the mouth.